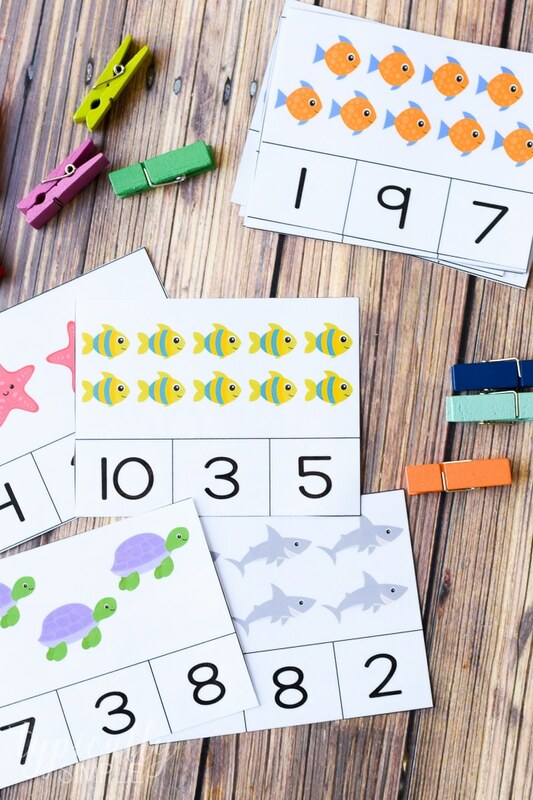 These ocean themed Count and Clip cards are a fun, hands-on activity to help kids to develop and build their counting and fine motor skills plus work on their understanding of one to one correspondence. 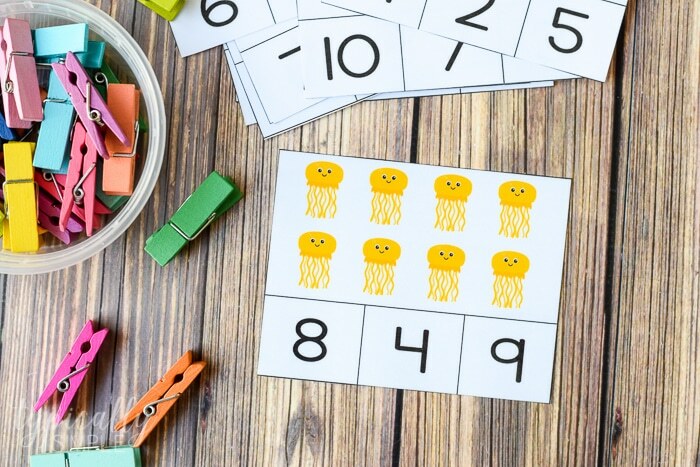 Count and clip cards are a great way to help kids learn and practice a variety of skills. Even though the little guy has already mastered these skills, (pretty soon I won’t be able to call him the little guy!) he was so excited to give these a try when he saw them laying out. He started working on them without any sort of direction from me, so it’s also a great activity for kids to work on independently. These cards are super easy to make…all you need to do is print and cut out each card! I like to laminate mine to make them extra durable, plus it gives me a reason to use my favorite laminator! Using cardstock also helps make them last a bit longer when being used by little hands. 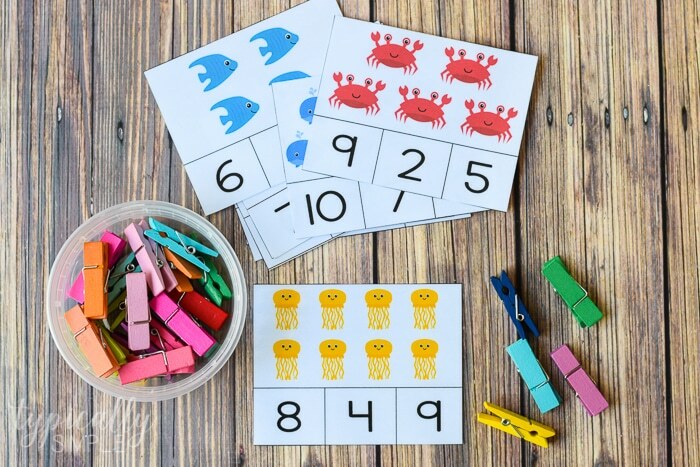 This printable set of ocean themed count and clip cards includes ten cards featuring different ocean animals to help kids practice numbers 1-10. 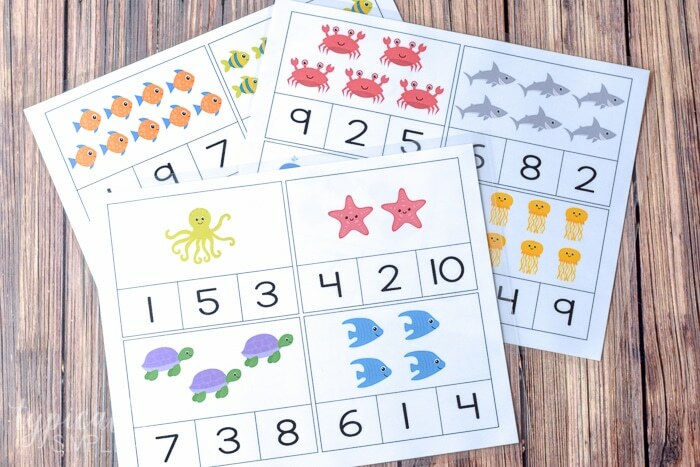 These cards are great for learning at home or in the classroom, used independently or with a partner during centers. 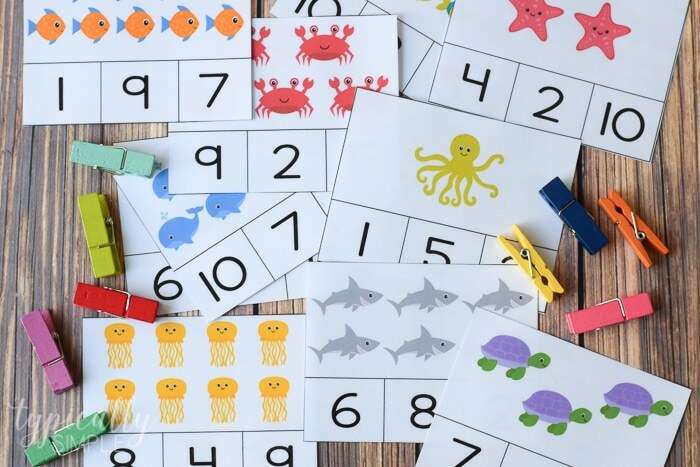 Teachers can also use the cards as informal assessment for a variety of skills. 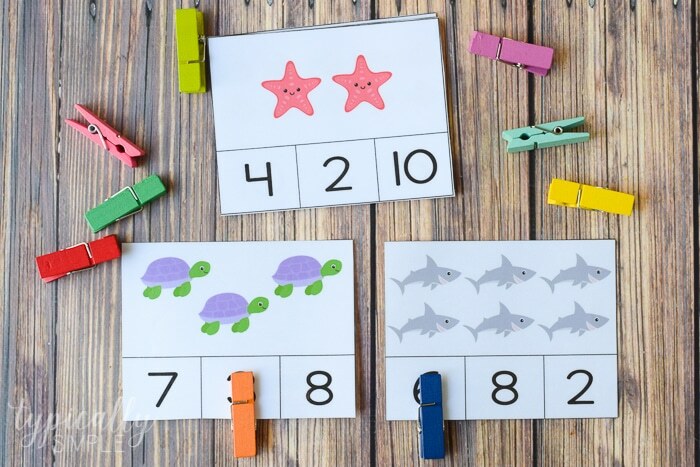 Have kids count the number of sea creatures and clip the clothespin onto the corresponding number. Clothespins are super inexpensive at any big box store. I usually use the regular, plain ones, but I happened to find the colorful ones in the Dollar Spot at Target. You could also paint plain clothespins if you want to work on other skills like color identification, matching, or just want some fun colors to motivate your kiddos!